Jordan Bates joined the Office of Internal Audit in May 2011. She previously worked as an internal auditor for the University of Kansas. Jordan earned a BS in accounting and a M.Acc from the University of Kansas. She received her MBA from Iowa State University. She is a Certified Public Accountant, Certified Internal Auditor, and holds a Certification in Risk Management Assurance. She participated in the 2015-2016 Emerging Leaders Academy at Iowa State University and was awarded the 2015 ISU Outstanding New Professional and Scientific Council Member CYtation Award. Ciaran Bowe joined the Office of Internal Audit in May 2013 and moved into his current position in July 2018. He previously worked in financial services in Dublin, Ireland. Ciaran earned an MBA from the University of Iowa, a Postgraduate Diploma in Finance from National College of Ireland, and a BA in Cultural Studies from Dundalk Institute of Technology. He is a Certified Internal Auditor and Certified Information Systems Auditor, and holds a Certification in Risk Management Assurance. An ISU Professional and Scientific Council CYtation Award was given to him in February 2015 for outstanding work. Michael Holowinski joined the Office of Internal Audit in January 2018. 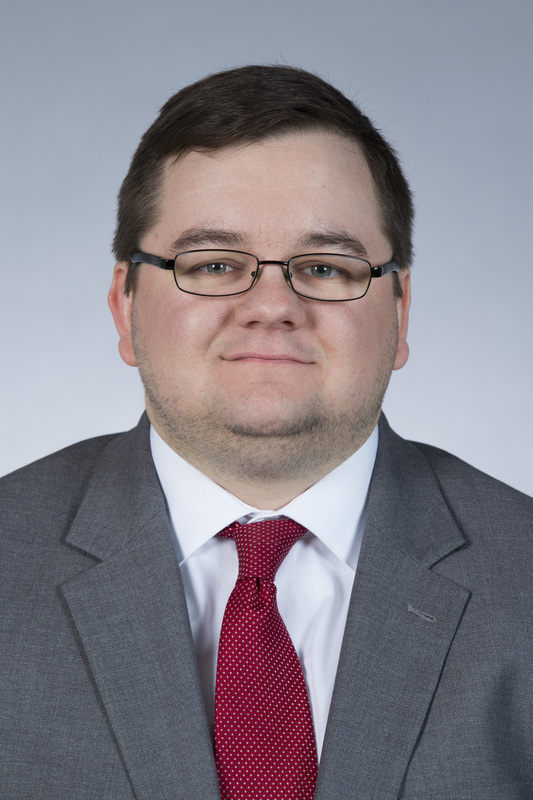 He previously worked as an auditor at the State of Iowa Auditor's Office for two and a half years. Michael earned his BA in Accounting from Iowa State University.